Sights & Sounds is your weekly guide to the Bay Area arts scene. Author Dickson Lam told KALW’s Jeneé Darden about three fantastic arts events happening around the Bay this weekend. 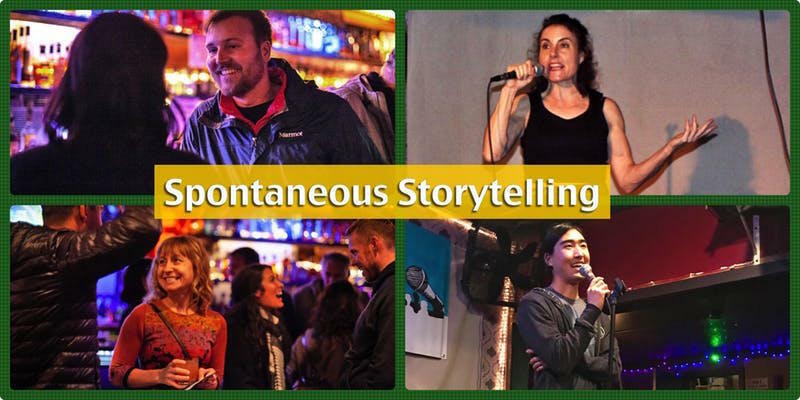 Spontaneous Storytelling is an event that combines the fun of meeting new people with hearing and telling true stories. The night starts with players taking turns telling stories to strangers at the bar in a social game with selected themes. Then people will have the chance to get up on stage to tell their story and win a free drink. It’s happening this Saturday night at the Layover in Oakland. The Youth Speaks Teen Poetry Slam Finals are happening this Saturday evening at the Sydney Goldstein Theater in San Francisco. This is one of the Bay Area's largest youth poetry slams and the Top 6 poets will represent the Bay Area in Las Vegas at this year’s Brave New Voices Festival. The SFJAZZ Poetry Festival presents American Dream States. This event will feature writers of different genres responding to a key piece of writing on the American Dream, and performing their pieces with a live band. The featured poet will be this year’s SFJAZZ Poet Laureate Marc Bamuthi Joseph. There will be two showings this Saturday night at the Joe Henderson Lab in San Francisco. Dickson Lam's award-winning memoir Paper Sons is available now.